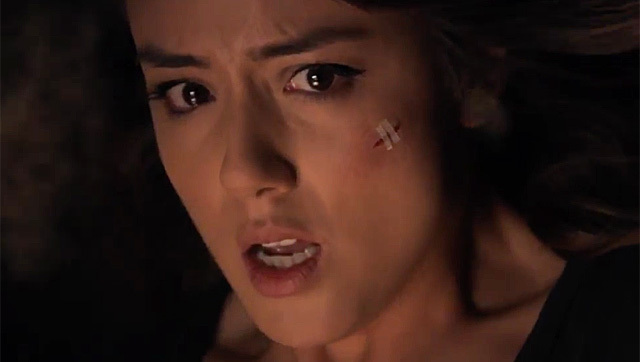 ABC has released this new trailer for the midseason premiere of “Marvel’s Agents of S.H.I.E.L.D.” Titled “Aftershocks,” the episode will air on Tuesday, March 3. “Marvel’s Agents of S.H.I.E.L.D.” stars Clark Gregg as Agent Phil Coulson, Ming-Na Wen as Agent Melinda May, Brett Dalton as Grant Ward, Chloe Bennet as Daisy “Skye” Johnson, Iain De Caestecker as Agent Leo Fitz, Elizabeth Henstridge as Agent Jemma Simmons, Nick Blood as Lance Hunter and Adrianne Palicki as Bobbi Morse. New faces will also make their debuts, including May’s ex-husband (Blair Underwood), who must help the team with their most personal mission yet, and Robert Gonzales (Edward James Olmos), whose debut will rock the foundations of S.H.I.E.L.D. The series is executive produced by Joss Whedon, Jed Whedon, Maurissa Tancharoen, Jeffrey Bell and Jeph Loeb.